Okay, there’s no denying that over-produced talent show The X factor is ingrained in modern popular culture. There’s also no denying that the UK’s MPs have systematically raped, pillaged and disrespected the country, its bank balance and its populace. So you’d think that both parties would have a little humility; a little more on their agenda than childish backbiting and cheap shots with no regard whatsoever for the fact that we might want some serious work out of these guys for at least the next century. Their recent marketing campaigns would wholeheartedly suggest not. 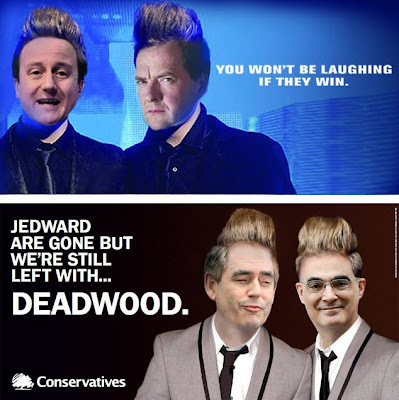 First Labour kicked off featuring David Cameron and George Osbourne, sporting Jedward’s infamous ice-cream cuts. The half-arsed copy line, ‘You won’t be laughing if they win’ only added injury to the insult. And I mean insult. I didn’t want to use this blog to rant – it’s the number one schoolboy error of blogging – but I’m pretty XXXXing dismayed. Dismayed that intelligent people are getting fed this kind of puerile, benefit-bereft drivel; dismayed the party has not had a thought for how they can address the most pressing political concern of the moment and dismayed that anybody in advertising or marketing can even think this worthy of public viewing. It gets no better I’m afraid. 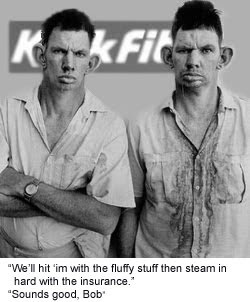 Since the Irish twins have been booted off the X Factor, the Conservatives have wasted no time in launching their own assault. Sorry insult. At least this version, featuring the hapless Brown and Mr. Darling is a slightly, ever so slightly better Photoshop job but both ads belong on the b3ta challenge – a pretty funny site where anyone who knows how to paste an image into a word doc and come up with a line can broadcast their message. achieving the mutually assured destruction of simultaneously looking like the bunch of clowns they all are. extracting even more taxpayer’s dosh on something that, quite frankly wouldn’t get in the portfolio of a six year old. Okay, got my card number and phoned Ikea again. What? After all this, you still don’t believe me? And you’ve got a squad of SS mattress inspectors? Do I have to get the house cleaned? Polish my shoes? My God, I’ve got a slightly prominent nose and a Jewish sounding surname - will I escape from the inspection with my life? Brand tOuch score out of ten: minus 10. Hopes: that the execution will be short and painless. Is it Ikea policy to employ liars at the battery farm? At the moment, I’m guessing so. Okay, so I need to contact Halifax again and see if they can find the card number from 5 years ago for me. At this point I’m thinking, this Ikea lady is staring me in the face and potentially saying I’m trying to scam a mattress from them. 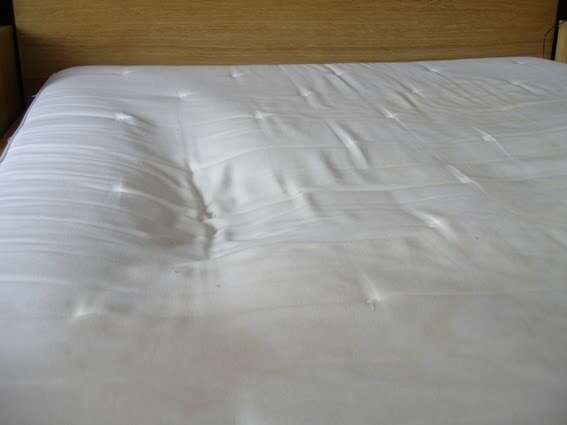 Or at the very least that I may not have purchased the said mattress. I obviously look like a bloke who’d happily accept a second hand mattress from someone. Thanks a bunch. Brand tOuch score out of ten: 4. Hopes: Fading. Right. Stiff upper, press on. Phoned Halifax who said, ‘Ooooh no…oooo…. We can’t give you that kind of information over the phone. You’ll have to go into a branch and request it. 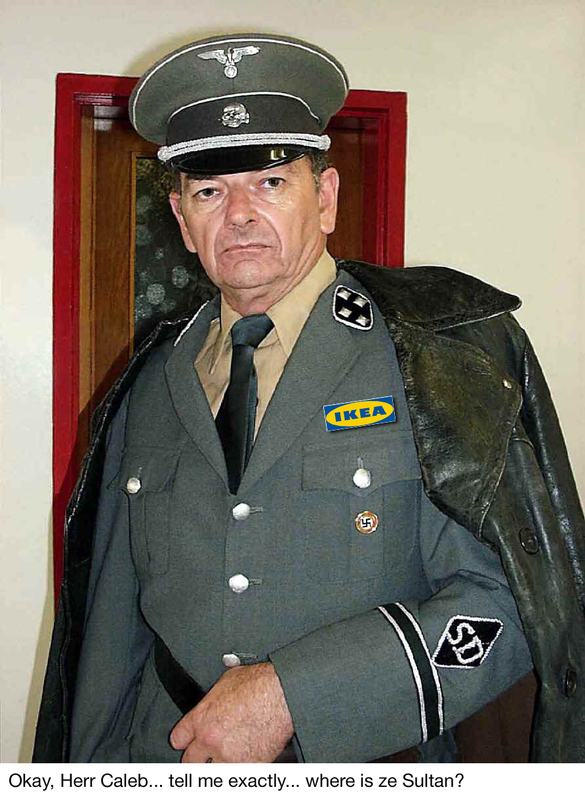 Reluctantly left the Ikea store empty handed (ie; no new mattress) and drove the 15 miles back to my Halifax branch. Is it Halifax policy to employ liars at the Halifax farm? Her exact words. Apparently it is Halifax policy to employ liars at the Halifax farm. Impromptu Halifax Brand tOuch score out of ten: 0, nada, zilch. Hopes: I’ll eventually lose the will to live.